After earning his Masters degree, Dr. Havens worked in the industry before serving as an officer in the U.S. Army Chemical Corps. He then returned to graduate school. 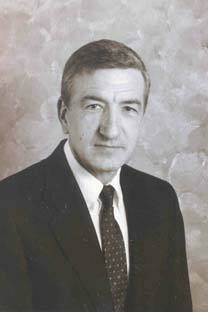 Havens joined the faculty in 1970. While on sabbatical in 1976-77, Havens served as Technical Advisor to the Office of Merchant Marine Safety of the U.S. Coast Guard. In 1982, he was technical advisor to the British Health and Safety Executive during the Thorney Island Heavy Gas Trials in southern England. In 1994, Havens traveled to Bhopal, India, accompanying the International Medical Commission on Bhopal, in order to study the effects of a catastrophic release of methyl isocyanate that had occurred 10 years earlier. In 1997, he served as a member of the Safety Controls Optimization by Performance Evaluation Panel for quantifying the hazards surrounding the radioactive waste storage facility at Hanford, Washington. At the University, Havens’ primary research areas remain the assessment of nuclear, biological and chemical hazards. Dr. Havens is Director of the UA Chemical Hazards Research Center (CHRC), which conducts major research programs to develop mathematical and wind-tunnel modeling methods for atmospheric dispersion of hazardous chemicals.